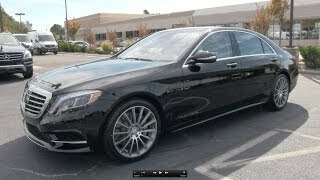 Mercedes has officially unveiled the 2014 S-Class at an event in Hamburg, Germany. 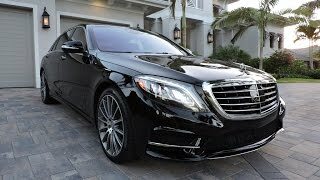 The sophisticated design of the Mercedes S-Class has always been an expression of luxury and automotive grandeur of its era. To underline the effortless superiority of the new S-Class, the radiator grille is now larger, a long bonnet, the flowing, domed roof line and the gently slanting rear end, the new S-Class has classic saloon proportions. The subtly created convex-concave effect of the entire flank gives rise to an extremely powerful and elongated car body. The real highlights are the new-style tail lights which are completely encased by the car body. 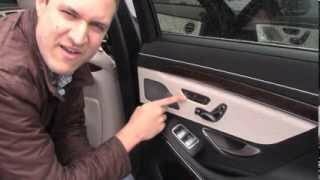 The new 2014 Mercedes S-Class is the first vehicle in the world whose interior and exterior do without a single light bulb. Almost 500 LEDs illuminate the road, the vehicle, the interior and the boot. Visibility is enhanced by two assistance systems that have undergone some key improvements - Adaptive Highbeam Assist Plus and Night View Assist Plus. With its clear architecture, the interior design of the Mercedes S-Class embodies a classic, superior, cutting-edge saloon. The interior design of the S-Class combines ride comfort, spaciousness and user-friendliness to the very highest standard. The perfectly coordinated use of materials and colours produces an exclusive interior seemingly cast from a single mould. 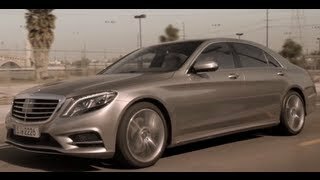 The 2014 Mercedes S-Class line-up features two hybrid versions, a petrol model and a diesel variant: S 400 HYBRID, S 500, S 350 BlueTEC and S 300 BlueTEC HYBRID. The new S-Class achieves consumption and emissions figures that only a few years ago seemed utopian, even for executive cars. All the engines already meet the requirements of the Euro-6 emissions standard. 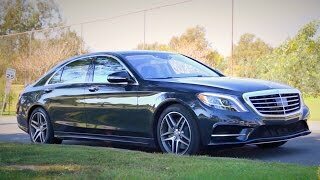 In addition to this, the S 400 HYBRID and S 350 BlueTEC meet the strict criteria of efficiency class A, while the S 300 BlueTEC HYBRID even has an A+ rating.